Haiti - assignment for Geo France.\n\nIn Northen Haiti, Bord de Mer is the closest village to the location where the Christopher Colombus' boat, the Santa Maria, sank. Realizing the ship was beyond repair, Colombus ordered his men to strip the timbers from the ship. The timbers were later used to builb a fort which Colombus called La Navidad (Christmas). 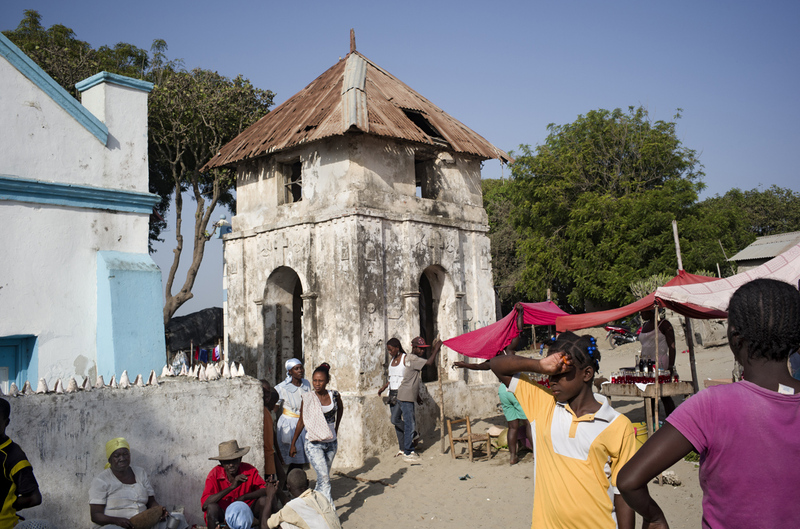 Colombus built the first Chapel in Ayiti Island in this village. It has become one of the most famous spiritual site in the country where both Catholic and Vaudou believers are going to pray.